ALL INCLUDED: Our Jackets comes with a Lanyard and a free canister! Everything you need to get started. 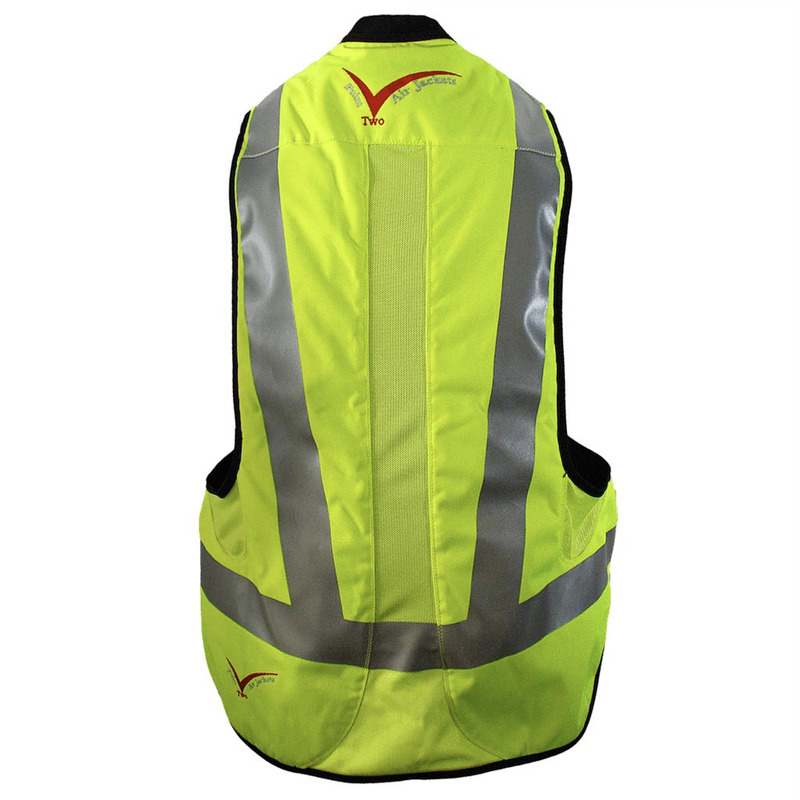 The ProAir HiViz is a highly reflective air vest with a neon yellow base for visibility during daylight hours and extremely reflective striping for night time visibility. 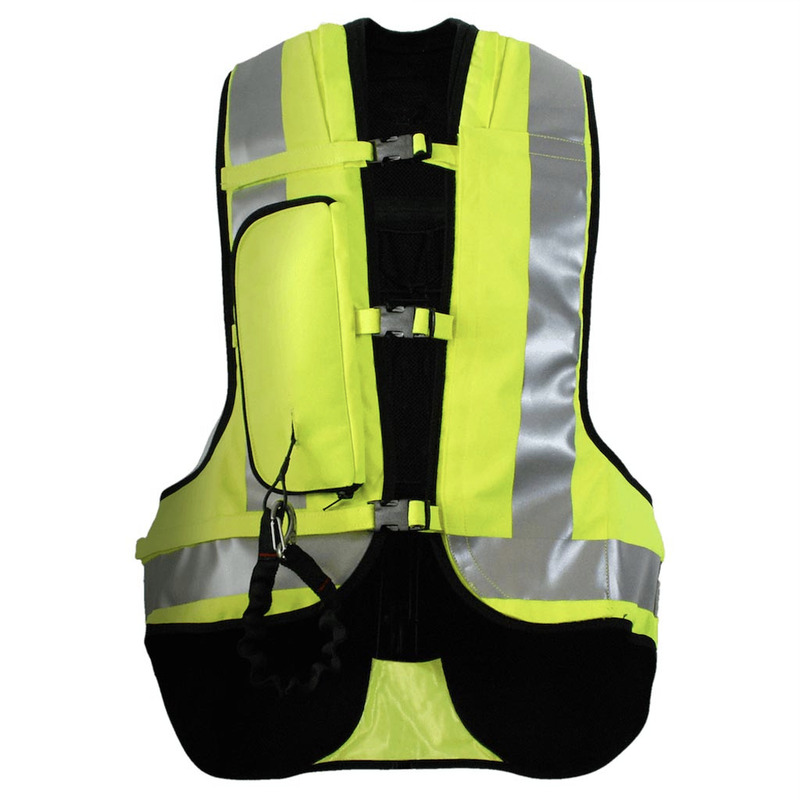 This vest is designed to be worn with a DOT approved jacket or leathers for the highest level of protection available. Some touring riders use our air vest with its integrated EN1621/2 Level 2 back protector on its own, which is waaaay better than just a t-shirt and a plain reflective vest. That being said, we do advise that you wear all the protection possible, besides, there are parts of your body our air vests do not cover. The ProAir MC HiViz has a pleated neck to allow for optimal inflation time and protection from neck and collarbone injury. There's also extra built in padding behind the trigger system for added comfort and safety. The adjustable straps ensure a proper and comfortable fit and the extended shirt tail protects lower back, kidneys and coccyx. The Point Two air vest is one of only two brands that has a high enough level of certification (EN 1621-4:2013) to be used for both road riding and racing. See our safety page for more information on our industry-leading safety certification.